Torpedo C.A.B. 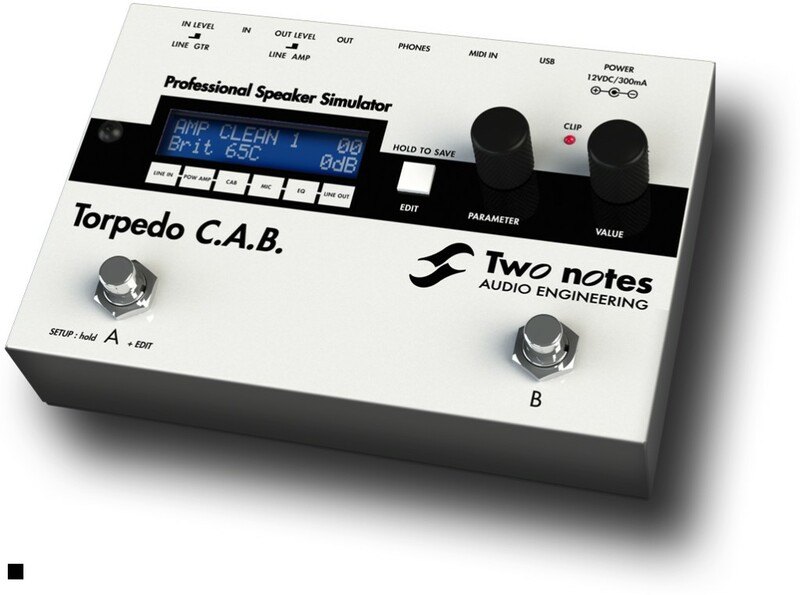 (Cabinets in A Box), Guitar Cabinet Simulator from Two Notes Audio Engineering in the Torpedo series. 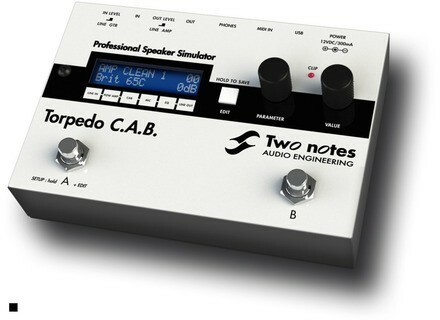 Two Notes Engineering starts celebrating Musikmesse with a special offer on the Torpedo CAB through April 13th. Through April 13th at 18h, Musikmesse closing time, the Two Notes Torpedo CAB guitar and bass speaker simulator pedal and the PI-101 Wall of Sound plug-in are bundle at the special price of 375.50€ excl. taxes instead of 616€ in Europe. Plus, new buyers will get the free update to version III of the PI-101 Wall of Sound which will be release at Musikmesse on April 10th. Visit www.two-notes.com for more details. If you live in the USA and Canada, the offer applies to the Torpedo VB-101, Live or Cab and is available at www.diffusion-audio.com. Gibson Collector's Choice #10 Tom Scholz Gibson introduces the tenth guitar in the Collector's Choice series, which is a reissue of the Tom Scholz 1968 Les Paul. TC Electronic Ditto looper test For a while now, TC Electronic has been delving into its first love by bringing us new guitar pedals at a frenetic pace. Along the lines of the Toneprint series, comes a small (very small) loop effect. The keywords here are: simplicity and effectiveness.